Elsa Bengtsson was a prominent national creator of public opinion and a local politician. Elsa Bengtsson was born in Gävle in 1865. Her family had a nautical background. She trained to become a school teacher in Stockholm and spent a few years working there. She then moved back to Gävle, where she continued to work as a teacher. She became a member of the local Vita Bandet (White Ribbon) women’s temperance association, which had been established in Gävle in 1902. She developed the association and served as its chair for several years. This association ran the Vita Bandet home Fristad, a transitional home for women who needed temporary accommodation or who were awaiting access to a women’s refuge or an official care facility. 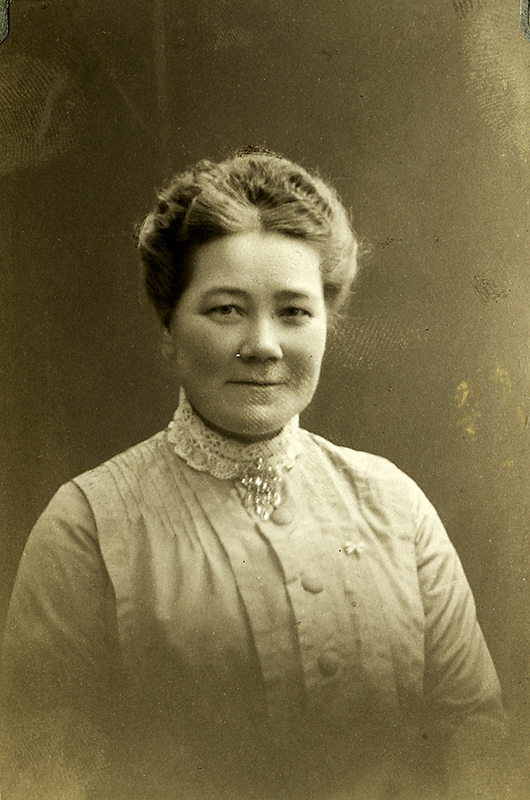 Elsa Bengtsson was mainly active within the national Vita Bandet organisation, where she was in charge of the section for temperance education in schools, as well as the children’s agency Sveriges Hopp. She was one of Vita Bandet’s most prominent creators of public opinion. She was considered a good public speaker and regularly gave talks as well as publishing continuously in the association magazine Hvita Bandet (from 1909 Vita Bandet). She composed brochures and pamphlets such as “Alkoholens inflytanded på brottsligheten”. Her pamphlet “Hvarför böra kvinnorna ingå i Hvita Bandet” was printed in over 50,000 copies. As a teacher Elsa Bengtsson was also a member of and active within the national school board and its pedagogic authority. Her political engagement emerged out of her temperance activism and she became active within Frisinnade landsföreningen (the Free-minded National Association) at the local level. She held several posts within local political authorities such as the childcare, adoption and pension authorities. She was elected to serve as the Frisinnade landsföreningen representative on Gävle municipal council between 1915 and 1919. Elsa Bengtsson was active on behalf of children’s and women’s freedom and political rights and was viewed as a role model of women’s political activism. She was described as a woman with “a work ethic and energy which was right on target” while also being critical of herself. She died in Gävle in 1922, aged 57. Gustava Elisabet (Elsa) Bengtsson, www.skbl.se/sv/artikel/ElsaBengtsson, Svenskt kvinnobiografiskt lexikon (article by Åsa Bengtsson), retrieved 2019-04-22.